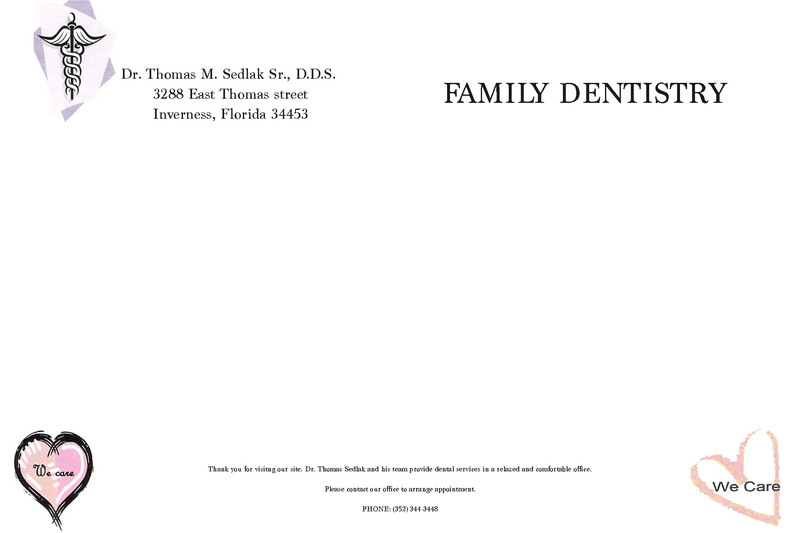 Dr. Thomas Sedlak Sr., D.D.S. and his team have provided a long and good standing service in Citrus County for many years. We look forward to serving you and maintaining your good preventative dental health. Dr. Thomas Sedlak Sr., D.D.S. Our office is easy to locate..